The 4 Mcclellan's: 15 years!! 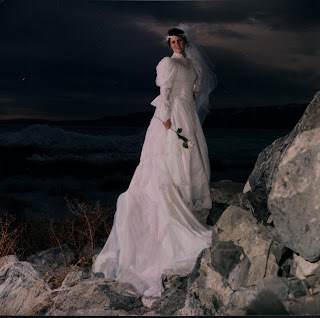 My bridal photo, and yes I really was at the lake, and it was cold! What fun pictures! It is always fun to look back at an exciting day! 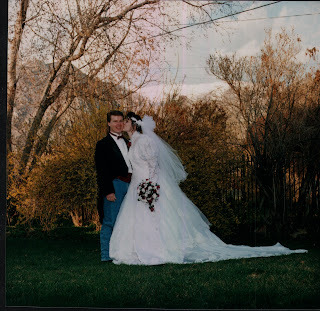 Congratulations on 15 years and many more to come! Congratulations! What beautiful pictures! I agree, it seems like it was just yesterday! Life goes by so fast! 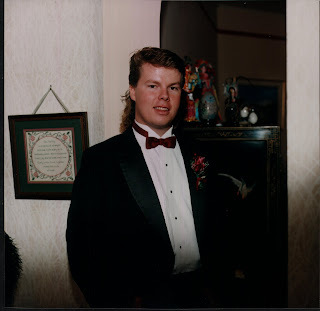 Love the mullet hair style...is that how you spell it? 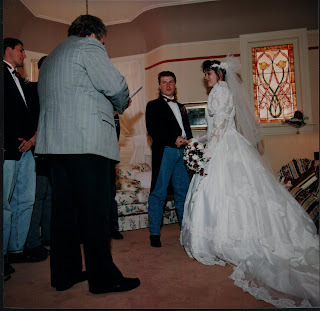 I love your wedding pictures. Very pretty dress! 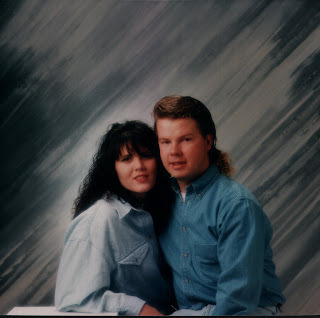 Chris and I wore denim shirts for our engagement pictures also.